Virginia World War I and World War II Tourism Marketing Program Applications will open on Dec. 11, 2018! Applications will open on Dec. 11, 2018 and are due back no later than Feb. 19, 2019 by 5:00 PM. The Commission was created by the General Assembly to plan, develop, and carry out programs and activities to commemorate the 100th anniversary of World War I and the 75th anniversary of World War II. The purpose of the program is to assist communities and related sites to market commemorative events, locations, and destinations. 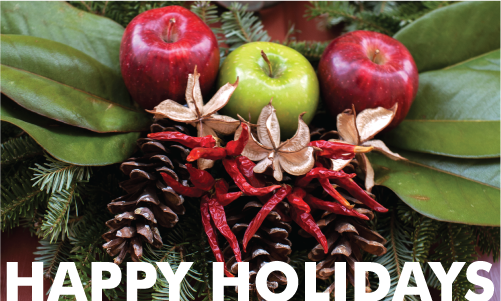 We still need your holiday and winter events and packages! Please update your suggested tour itineraries and listings on Virginia.org/Groups now. If you need help, contact Stephanie Kenney. Please email Joni Johnson your profile sheet and new suggested tour itineraries to include in her sales appointment notebook. Join VADMO on a Sales Blitz to AAA Offices coinciding with the ABA conference January 26-30, 2019 in Louisville, KY. In addition to calls and a presentation at AAA Headquarters in Louisville, stops will be made at AAA offices on the way to Louisville. The Virginia Commission for the Arts (VCA) will present a series of statewide application assistance workshops in December 2018. VCA staff will provide an overview of grant programs, including information about the new VCA Online Grant Application System as well as updates to the Guidelines for Funding, application and review procedures and more. Workshop locations include: Chatham, Abingdon, Waynesboro, Glen Allen/Richmond, Lorton, Winchester and Virginia Beach. See why visitors from all over the world travel to see The Virginia International Tattoo, a production of the Virginia Arts Festival. The broadcast has been picked up by over 40 PBS stations nationwide, from Alaska to North Carolina. Music & Might Above and Beyond the Call of Duty is a new one-hour special celebrating our nation’s military and our greatest heroes. See the video. 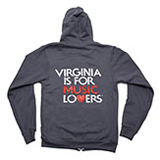 “Virginia is for Lovers” is turning 50. And the advertising campaign is still evolving.